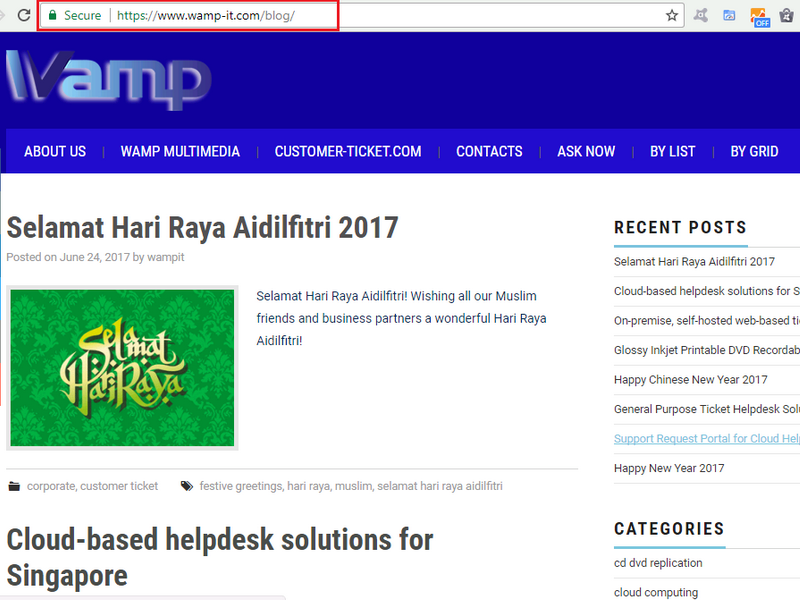 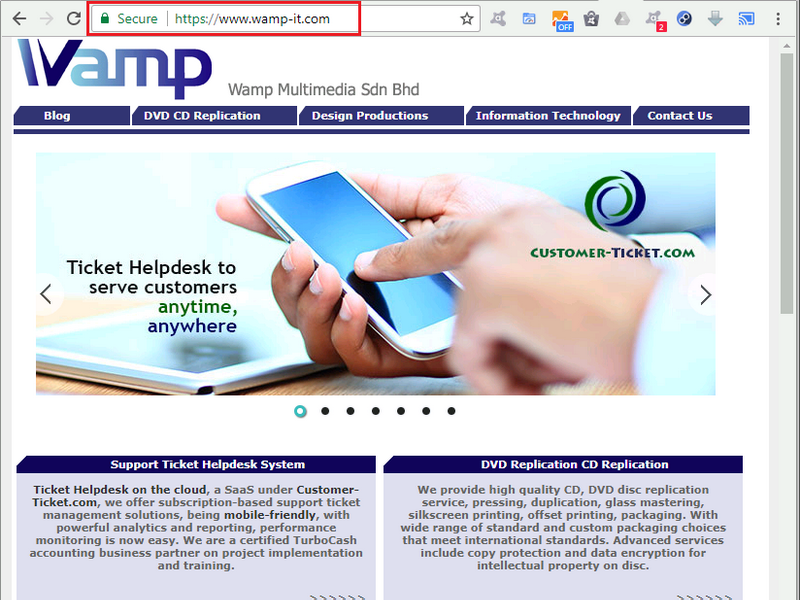 We are glad to update our customers that Wamp Multimedia Sdn Bhd has completed enforcing SSL certificates for our business websites starting early 2017. 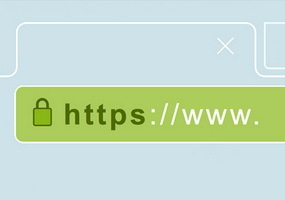 With implementation of secure connections, we are offering everyone increase online security when visiting our websites. 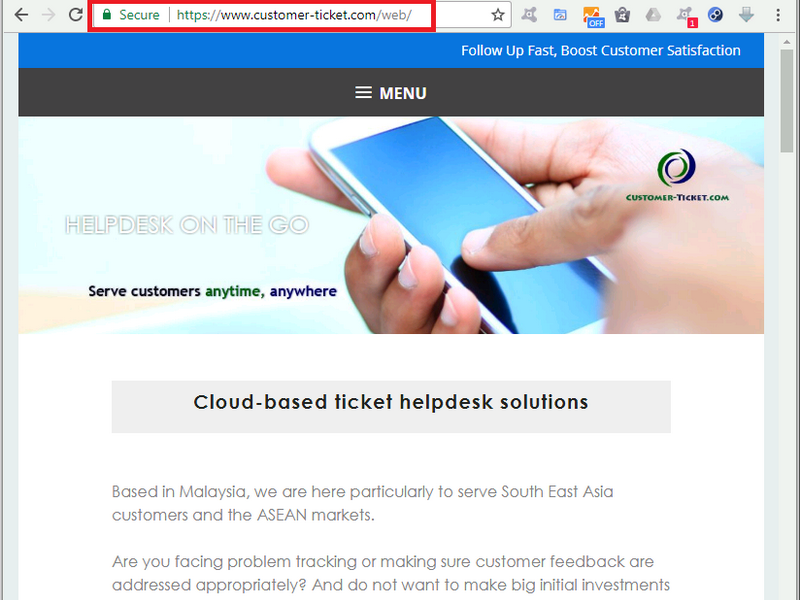 Our customers, business partners, or website visitors are all well protected by encryption via HTTPS secure connections to our web sites when they browse, download, send message or test our helpdesk demo.